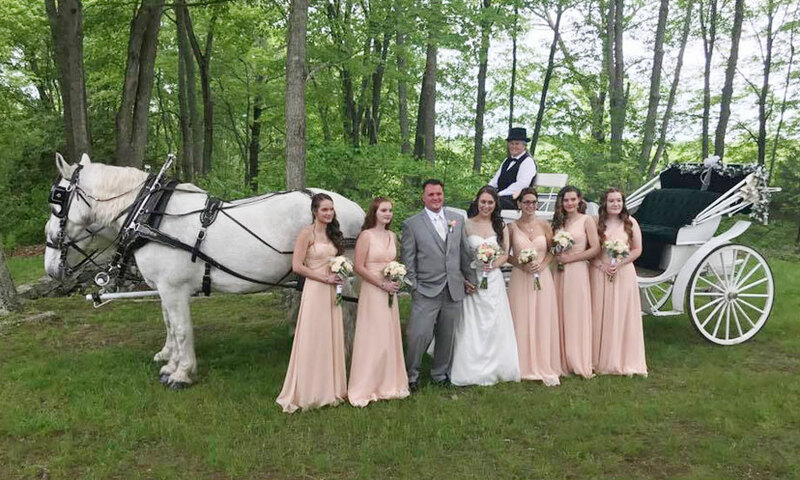 A horse & carriage from Cedar Knoll Farm will add an unsurpassed touch of elegance to your special day. 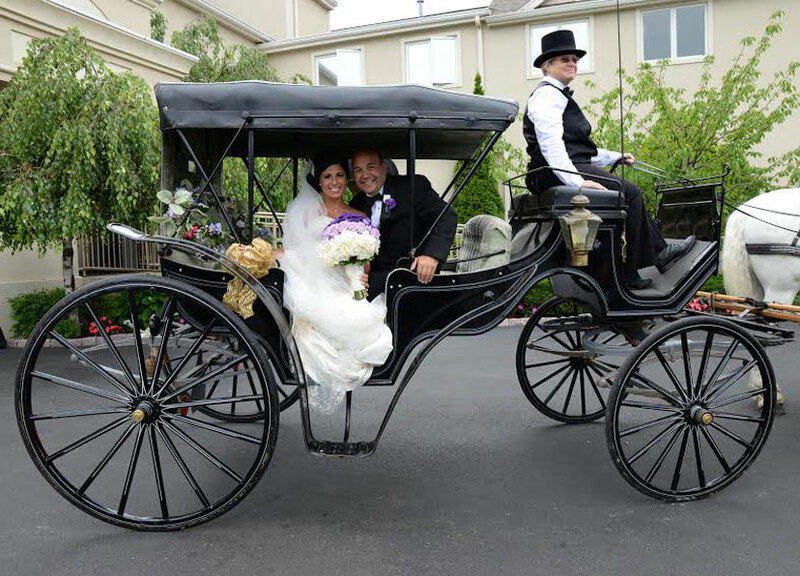 Our carriages are always in spectacular condition, shiny and clean — our horses are always meticulously bathed and groomed. Our drivers and attendants are like ways always dressed in clean, formal attire, including top hats, and formal coats when necessary. 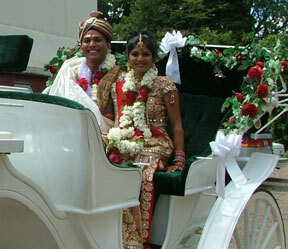 Our carriages will be decorated with silk flower garlands to compliment your wedding colors at no extra charge, if desired. 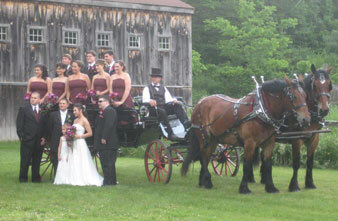 You will never be dissapointed in the presentation of a horse and carriage from Cedar Knoll Farm! 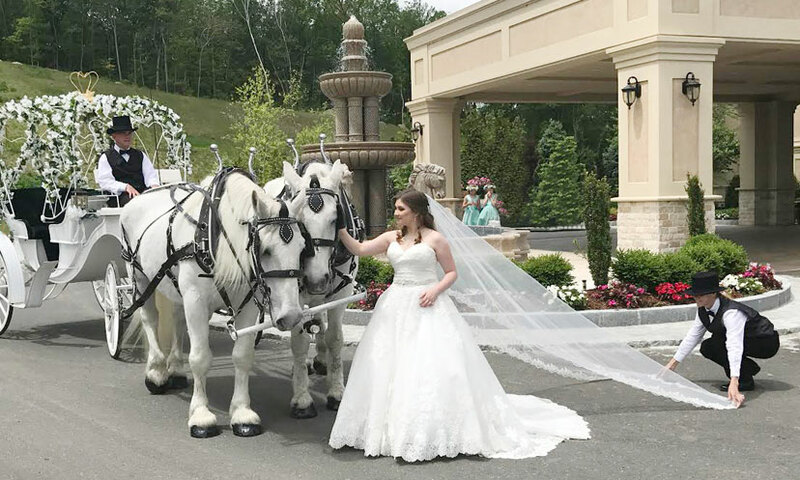 We recommend one or more of the following carriages for your wedding, depending on your needs and theme: Black or White Vis-a-vis; Cinderella Pumpkin Carriage; Surrey-top Wagonette; Polish Wagonette; Sleigh on Wheels. 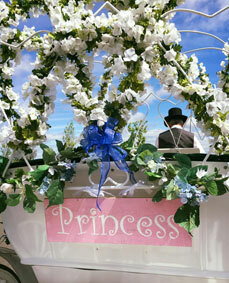 See our CARRIAGES & SLEIGHS page for more descriptions.